Welan, please keep the western louvers pointed down a bit so the cold can't get over the Rockies, please! I don't have all that much wood! Not sure I can afford all the natural gas. Looks like you're going to have to point those things east or north. I bought a generator this weekend in case you turned them up to high. You might have warned your friends...oh! You did? 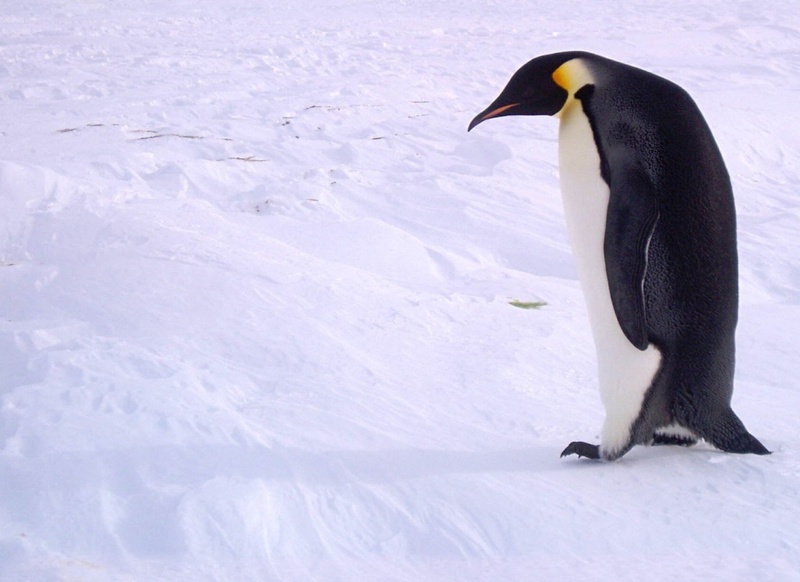 Why couldn't we have found a tropical penguin? Apparently the chillers are up to speed as we just went under our first Winter Storm Warning of the season. Going from no snow to full blown blizzard. I'm hoping the weatherman is wrong, because he's calling for 9 inches. We ended up getting 14 inches. Our weatherman keeps changing his mind, too. If you check the forecast every couple of hours, it will be very different from the last time you checked. From "snow all day" to "mostly sunny". Or the other way around. Fortunately he's been wrong about the snow so far, at least as far as any of it sticking, but it's been darn cold several days. Hope that 14" didn't cause any major difficulties for you. Bet if you put a plow on that blue Chevy it would clear the driveway in a hurry! Here's hoping the weatherman predicts a blizzard for you, so all that snow will melt off. Or at least that the mondo chillers will blow a breaker while welan's asleep and give us a little break. Well it did keep me from having to go to work yesterday because the roads were so bad.